Ibanez RGIF8 Review – Are Fanned Frets Worth It? 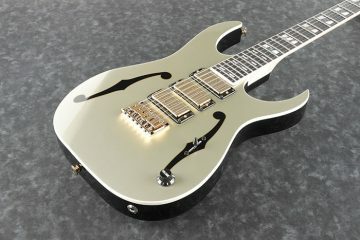 Today Wired Guitarist is reviewing the Ibanez RGIF8 Iron Label! As extended range guitars and multiscale instruments become more popular in recent years, it’s great to see guitars with these features in a more affordable package. Like 7 and 8 strings, fanned fret instruments aren’t a new idea, but were historically roughly executed decades ago, or exclusive to multi thousand dollar boutique instruments. Ibanez, already the first company to offer production 7 and 8 strings on a large scale, is once again on the cutting edge with the RGIF8, as well as the 7 string variant and their fanned basses. These specs make for a stripped-down, rugged RG-style workhorse with specific appointments for metal. 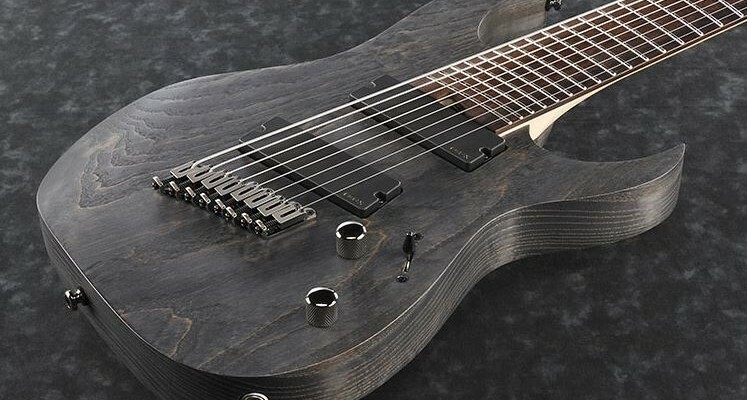 Not only is the ash body light and great for 8 strings but the black stain really matches the aesthetic. The cuts of rosewood on these are really chocolatey and complements the body well. The All-Access Neck Joint is always great to have for its fret access, and bolt on neck construction also provides great punch that extended range guitars needs. The Mono-Rail bridge is also a good choice because the individual saddles allow the strings to resonate clearly. It’s really comfortable too! The Nitro-Wizard neck works perfectly for 8 strings, because it makes tapping, bending, and fast single-note passages a breeze, which is a huge part of 8 most string technique. 27.2”-25.5” is definitely a great fan for an 8. The playability is fantastic. External of the tonal benefits, fanned frets allow for easier wrist motion and can alleviate or prevent pain from repetitive motion injuries. The normal scale on top also keeps soloing easy. As I touched on above, the raw specs of this instrument are perfect. Maple necks are punchy, bolt on construction is snappy, and ash bodies have great clarity. These are all things very much needed in an 8 string to maintain definition for the low F# and beyond. The bridge also has great string separation for chording under high gain, because each string vibrates separately and has a direct point of contact with the body. Normally, multiscale is very cool, but not a requirement. I like it on all instruments, but on 6s it’s usually not needed, 7s can get by without but it helps; on 8s, I think it should be mandatory. When tuning that low, the guitar becomes a fundamentally different instrument, and getting both the high and low strings to sound good is impossible on a straight scale. Too long a scale means abrasive highs, and too short a scale means muddy lows. 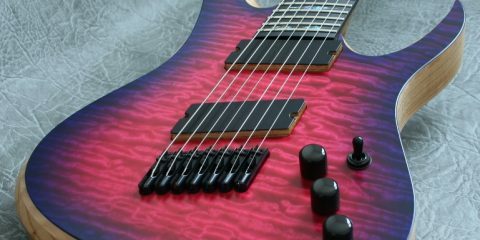 For any sort of balanced tone, traditionally constructed 8 strings need to be multiscale. Many people have had great results with straight scale 8s over the years, and if you’re focusing on one type of tone strictly, that could work for you, but in my opinion the clarity, playability, and tonal benefits of a fan are very cut and dry. If you want to learn more about multiscale guitars, then I suggest reading our guide to them here. The pickups in this are versatile enough to cover all genres, but aren’t particularly great at any one thing. 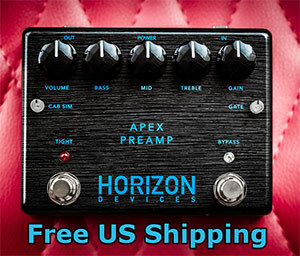 I understand why they have to use these to keep costs down though, because getting a custom fanned passive pickup from a company would be too expensive at this pricepoint. The X series is in fact a huge improvement over the normal 909s, they’re more organic and have more clarity, similar to an 18 volt mod, but better. 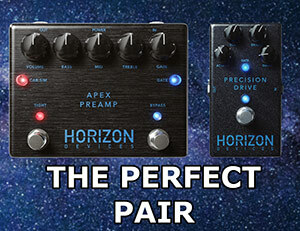 Generally speaking, they perform better for cleans and high gain, and take a little more tweaking for crunch tones. 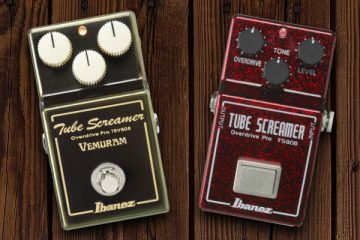 The Iron Label line is a stepping stone between Ibanez’s very inexpensive Indonesian guitars and the Prestige line, but with specs specifically designed for metal. They are held to a higher standard than a normal import and quality controlled more rigorously. The single saddle bridge system is aligned properly, which not only is hugely important, but very refreshing given that guitars 3 times more expensive by boutique luthiers sometimes don’t have that executed accurately. None of the electronics are scratchy, and the tuners have a nice ratio. The guitar isn’t perfect, which I think is entirely reasonable when you compare its price to its features. There are some very mild minor finish flaws but I personally think they just add to the rugged look of the stain. All of the frets are seated and crowned properly. These obviously aren’t up to the standards of a Japanese Ibanez Prestige, but have a far better fit and finish than many other inexpensive fanned guitars. Again, the real value here is that this guitar is going to have important structural elements executed better than about 50% of new boutique luthiers offering multiscales for $3,000. The RGIF8 is for players on a budget looking for a well-balanced instrument for their modern metal and experimental playing that isn’t going to get in their way. Or even players with a larger budget that are looking to try a fan or have a dependable live workhorse. I highly recommend that any 8 string player get a fanned instrument. The tonal and comfort benefits are undeniable. Combine this with the light, clear ash body, and this guitar is a great investment. The EMGs could be better, but the X series are a huge improvement from the originals, and they’re suitable for distortion and clean tones across all genres. This is the best way for 8 string players to get a well-designed instrument on a budget. 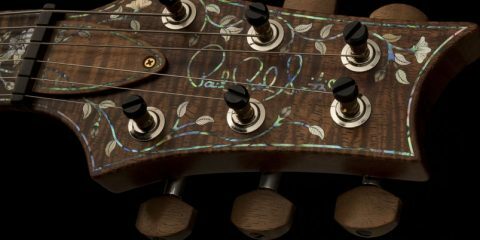 If you want an even more in-depth discussion of multiscale guitars, check out our explanation here.